Zero Intermediate Frequency (zero-IF) receivers with two analog-to-digital converters (ADCs) in In-Phase and Quadrature (IQ) branches are widely used in emerging multi-Gigabit wireless Orthogonal Frequency Division Multiplexing (OFDM) systems. Because ordinary ADCs could not meet the demands of sampling rate in the system, two time-interleaved analog-to-digital converters (TI-ADCs) could be an attractive alternative for sampling speed improvement in the receiver. However, the mismatches among the parallel sub-ADCs can degrade the performance significantly without calibration. 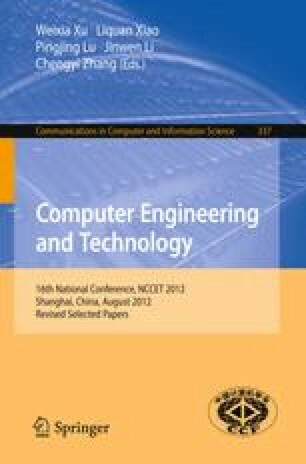 Targeting the DC offset mismatch of the TI-ADCs, this paper proposes calibration algorithm based on decorrelation least-mean-squares (LMS) and recursive-least-square (RLS) utilizing the comb-type pilots in OFDM frame, which could calibrate the two TI-ADCs in (IQ) branches simultaneously. The calibration algorithm has the property of fast convergence. Simulation results show that the BER performance is improved by the proposed algorithm. This work was supported in part by Shanghai Natural Science Foundation under Grant No. 10ZR1416500 andthe Research Fund for the Doctoral Program of Higher Education of China under Grant No. 20110073110055.